1 - This is a 2013 Energi. I doubt that the size of the 2014 or 2015 models are really different but please note that this is a 2013, in case there are slight differences. 2 - Measurements are approximate as I took a tape measure and noted the results to the closest 1/2". Here are some TSBs that we've found that may be of use to some, however this topic will remain locked as it is not intended to be a place for discussion, but only as a source to find a TSB that may be applicable to the Energi (or Fusions in general). I figured it was better to make a single reference topic and lock and pin it at the top, instead of making a bunch of separate topics that are all pinned to the top. A note on TSBs - just because there is a TSB does not mean that it pertains to your car, but for some that may have a nagging problem with their Energi these references may help. Also be sure to check the affected build dates noted in the TSB, and compare with your own build date - look in www.etis.ford.com if you don't know your car's build date. Here are the ones that I've found thus far, as we will update these as they are released and we can locate them (help with finding them is always appreciated). 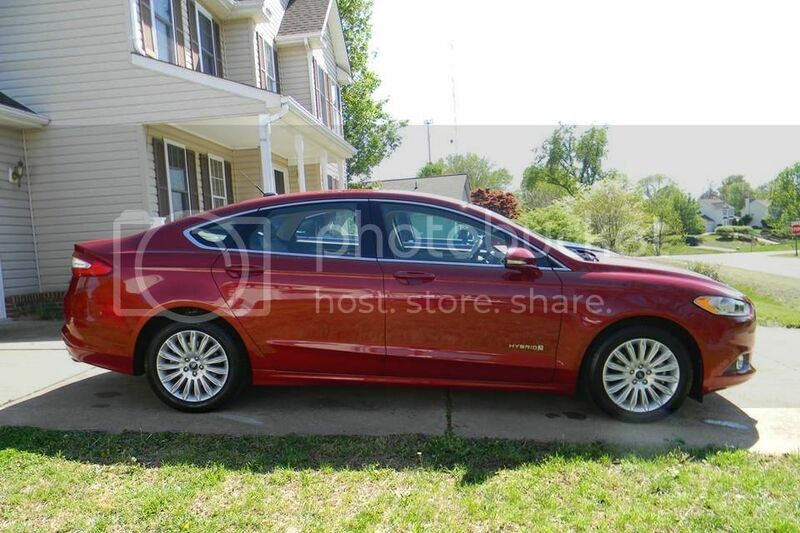 I have had my Ford Fusion Energi Titanium for 18 months now, and I am extremely pleased with the performance but also the great overall value. I am writing this to give people my take on the value aspects because I think some are a little different than what is commonly expressed. In my view a main source of the Fusion Energi’s tremendous value is that the EV capability is an option to the regular Fusion hybrid. Most people think that is a negative because it led to less trunk space, and that it is best to design an EV from scratch. I have a different take on this – while it’s true in principle that designing from scratch allows better battery placement and so forth, the reality is with the Fusion Energi you get the benefit of Ford’s “A team” of designers with respect to the Fusion interior and exterior design and all the driver assist electronics, and it really shows. The Fusion is a very popular model for good reason, and you get all those reasons. It’s an inherently great looking, great performing car that happens to have an EV option. Choosing the EV option adds the smooth EV acceleration and quiet performance, but it doesn’t have that “dorky EV look” that most EV’s have. The tax credits/rebates from the Feds (and in my case California in addition) nearly covered the difference between the regular Fusion Hybrid and the Energi version, so I got a great EV for modest extra expenditure. What a great deal! The diminished trunk space of the Fusion Energi was not a big thing for me because our kids are older – actually now I like it, when I transport groceries (like a watermelon or smaller fruit) they don’t roll/slide/spill over back there. The second Fusion Energi value attribute is that the EV range covers only what I need on most of my daily trips (but if I need to drive on gas all day I can). Often people complain that EVs need to have more range, but if they do they are too expensive, so what is the point, but I have a different take. In my view the sensible approach is to purchase a plug-in hybrid with only enough batteries that you need for 80% of your trips, because the batteries are the most expensive part of an EV, and any more than that is not a good investment. If you often arrive back home with charge to spare in your batteries you have invested in too many expensive batteries. If you need to burn some gasoline on the freeway segments of your journeys so be it. Logically I don’t see the problem with running out of charge (although it is a very big concern with a battery only EV!). An analogy is how many panels to get for a home solar electricity system – any solar company will tell you that, because the panels are so expensive, you should only get enough to approach, but not exceed your annual electricity use. The third value was how Ford excels in driver assist electronics and the infotainment system. This is another benefit of an EV that is based on an existing model – all the goodies can be economically included. For driver assist electronics I chose automatic parallel parking, lane keeping assist, rear camera with guide lines, front and rear proximity sensors, side cross traffic warning, and blind spot detection with an LED in the side mirror that lights up. We declined adaptive cruise control, now I wish I had stretched the budget to include it. (By the way, Tesla is still in the process of implementing all those driver assist features in spite of their high tech branding.) Also, although people slammed it when it first came on the market, we got the MyFordTouch/Sync infotainment system. Frankly I don’t understand the vehemence of the criticism – I have got it to work really well for my iPod, listening to text messages when they come in, using voice controls for just about everything from climate to tuning the radio, the voice recognition is excellent (way better than Siri according to my wife), I have even put my own wallpaper on the screen. I can control the car charging and climate pre-conditioning with an iPhone app. I don’t think any other EV’s system can do all that. Incidentally it seems that the Ford Sync 3 system coming out now is really fantastic. I really don’t have Tesla envy – 0-60 mph in a little over 7 seconds in my Fusion is good enough for me (way better than the Leaf), and I still get that quiet smooth EV feel and 0-30 mph pick up. So what if I have to occasionally use a little gas to punch it up to 80 mph on the freeway to pass somebody. 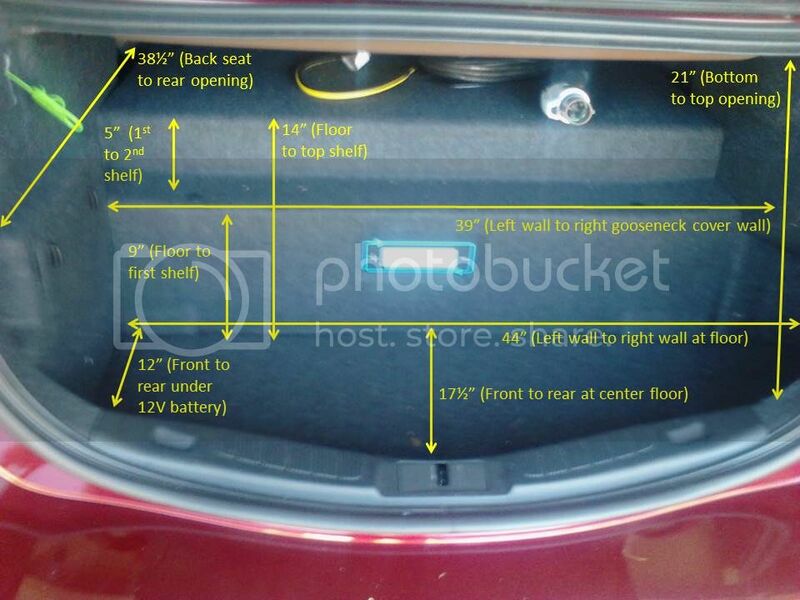 Also Tesla didn’t have rear cup holders – I guess Tesla owners don’t drive with kids in the back. And Volt owners only drive with kids or short adults in the back – my mom rode in the back of a Volt for an hour recently and told me it was basically unacceptable. Luckily I get to recharge at work, so at 15,000 miles/18 months I am getting 210 mpg, so I have put in only about 70 gallons so far. Only Battery-only EV (BEV) crazy fanatics would think that is not excellent for the environment. Given the regenerative braking and how few miles the gas engine is operating, and that mostly freeway miles, this car should last a long long time. Because of the thermal battery management I have detected no battery charge degradation at all. Saving money while benefiting the environment in a great car! Value without compromise. The real kicker as far as saving money in my particular case is because I also have solar panels (which I installed several years ago). To explain - my utility, Pacific Gas & Electric, has an “EV” rate schedule to encourage EV owners to charge at night. They do this with a huge differential in rates for times of the day – about 41 cents/kWh during the afternoon but only 10 cents/kWh at night. But here’s the thing – with solar panels the meter runs backwards so I am effectively selling power at 41 cents during the day, and buying back at 10 cents at night. My panels produce about 4100 kW per year. I installed LED lights throughout the house to minimize use even more. The bottom line is this – my net electric bill for the first year of Fusion Energi ownership was about $200. 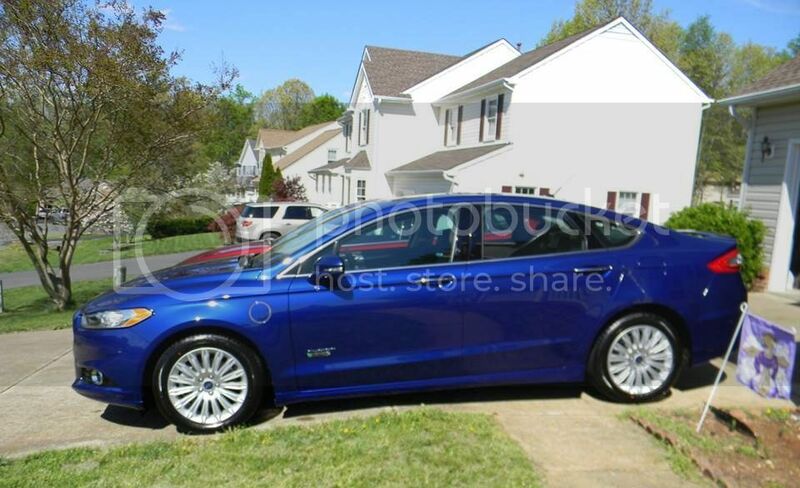 That’s right - I ran my 2100 square foot house and drove my Fusion Energi for a whole year/10,000 miles for a $200 annual electric bill + 45 gallons of gas. Amazing value! I am pretty sure the utility has noticed this sort of thing, which is one reason why they are pushing to restructure rates. But I’ll take it as long as it lasts. Finally, EVs are not immune from depreciation. The data on this for EVs is starting to emerge because the three year lease deals on 2011 and 2012 EVs are now being returned. 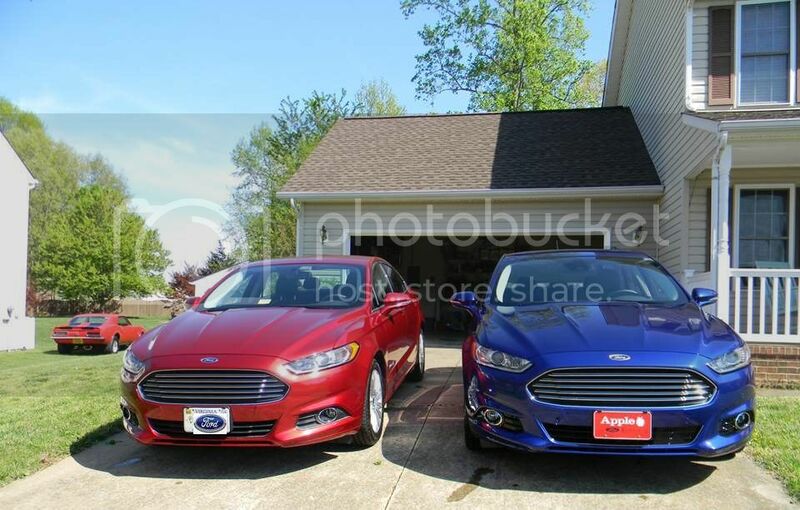 The data says that the Fusion Energi, with broadly attractive styling and all the other reasons I talked about above, has superior resale value. In fact my Ford dealer has already sent me two letters inviting me to trade it in. In contrast, BEVs (particularly the Leaf) depreciate much much faster than a regular car. From what I can tell, the economics of BEVs are projecting the same over five years as a cell phone or laptop. That is, an incremental increase in battery life/performance makes the previous year’s model much less attractive. People might hand down a few three-year-old phones with degraded battery life to their kids – but mostly they will be chucked out. That is the definition of e-waste, and in fact, it looks more and more like early model Leaf will soon meet this definition. That is, it still works, but at a level less than newer models such that there are a limited number of buyers, likely high school or college kids. I read that Nissan is offering $5000 to $7000 cash to induce their customers to buy their Leafs at the end of their three-year leases because they are getting dumped back on Nissan in such large quantities. Volts depreciate less (but still quite a bit) because they look too geeky. Environmentally the worst thing you can do is build cars that get chucked after a few years – constructing a new car takes a lot of energy and waste, and a new/upgraded battery pack isn’t economical for a heavily depreciated EV any more than a new engine is on a heavily depreciated regular vehicle. From the data I have seen, of all the EVs out there the Fusion Energi, based on resale value, is the clear winner. Maybe the emerging e-waste dynamic for BEVs will change in a few years when batteries get twice as good as they are now and (particularly Nissan) gets serious about battery thermal management, but right now it doesn’t look good. So that’s my take. I am sure others have different opinions, but in my view today the best value, economically and environmentally, is to get a stylish and popular model like a Ford Fusion which offers the EV capability as an option. This means it is firstly an inherently great and attractive car (proven so by the popularity of the regular hybrid version) with affordable goodies, and will have good resale value. There will be many more similar stylin’ plug-in hybrid EVs based on regular models introduced over the next year from Audi, Mercedes and BMW. Also, ideally the best value is to get only as many batteries as you need most days. Another key is to make sure the battery thermal management is excellent. 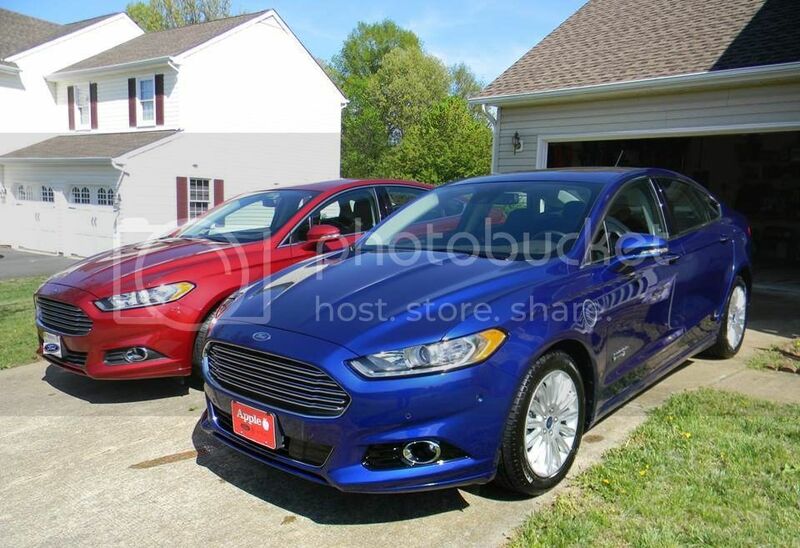 The resale value and steady sales of the Fusion Energi indicate that many people are quietly coming to these conclusions, and the German manufacturers apparently see this also. Finally, solar panels are a truly amazing complement especially if they give you a rate advantage. In my case this is time-of-day rate differential, but solar is also a great deal if the panels keep your net usage in the least expensive tier of total household electric usage level. The concept is that solar panels + EV make the panels pay for themselves very fast because it is in lieu of gas expenses. I wish everyone well on this EV journey of ours. Dealer has agreed to swap the car. Yeah! Hope to pick up new car today. Will check to make sure the car takes a charge. Hi community. I decided to post a modified "form letter" that I have been sending to local malls and restaurants in my area encouraging them to install PHEV charging stations. I decided to make it available to the community, so if inclined, you can do the same. I have to say that I already had success at one outdoor shopping area. The idea is to make it simple for the potential businesses to become aware of the growing PHEV market and how inexpensive the stations are. Note: Everything in brackets [ ] should be replaced with the business you are targeting, as well as your name, where appropriate. Hi [manager name], my name is [my name] and I am a Plug In Hybrid Electric Vehicle (PHEV) owner. Each day there are more and more PHEV and electric only vehicles on the road which is positively affecting our environment and decreasing our dependence on foreign oil. Our vehicles have various electric only ranges, so we look for and encourage more businesses to install the Charging Stations. The ideal location for charging stations is where someone will be for a couple of hours, such as a [mall name or restaurant]. This effort can be a boon to your business. The PHEV owners specifically look for public PHEV stations when we are looking to dine at a restaurant, or shop. For example, [town name] has stations all over town from their parking garages to the [mall name]. This is a perfect opportunity for the [mall name or restaurant] to install a station or two and advertise that you have such a station(s). You may be the first in our area. [PHEV Station], just down the road from the [mall] has a station which works perfectly for diners. Please consider having a Level 2 charging station installed for your patrons. The PHEV community is very active and word of mouth of new charging stations spreads quickly among us. Level 2 stations are around $2000. There are various manufacturers on the market. Here is a link to one of the USA manufacturers. The EV infrastructure tax credit on an EV charge station is 30% up to $1000 for consumers and 30% up to $30,000 for businesses. Please see the link to the Department of Energy. If I can be of further assistance, or if you have any questions, please email me. Thanks for considering the installation of PHEV charging stations. My Bordeaux Red FFH NRG TI is finally here after a week in Chicago and four days in the lot in Jessup, MD awaiting truck transport to the dealer. I thought I was paying for transport, not parking. This is one hell of a car. I actually turned off the radio so I could hear the silence on the way home on EV. This was the first NRG my sales guy has sold and I was able to show him a thing or two from stuff I learned here. 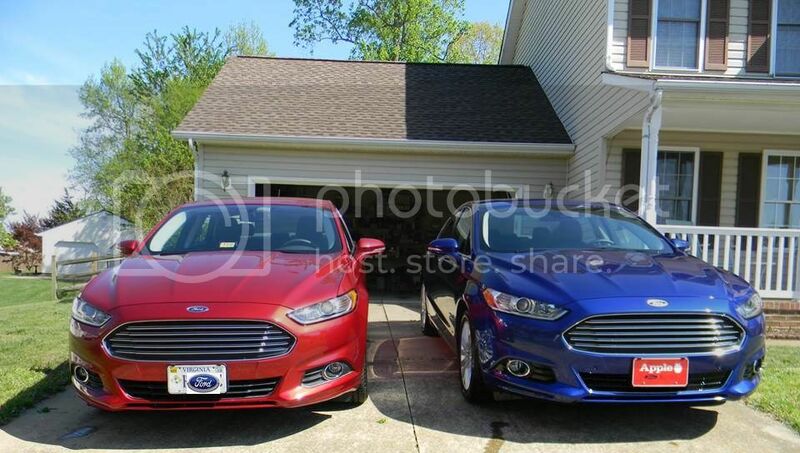 I also have to thank the forum for cluing me in to the $750 private cash and Flood Ford ESP. The dealership quoted me $3,995 for a $1,100 policy with Flood. So you guys have saved me a chunk of money. Malibu: You can close out my row on your spreadsheet. DR319147 was delivered on May 31, 2013, two days later than the original ETA and 78 days from date of order. That looks to be about average, or maybe a little better than average, but it was an excruciating wait nonetheless. Thanks for keeping the tracking spreadsheet and thanks again to the forum for all the good information while I was waiting. Too dark to take pictures tonight, but I'll post them ASAP. #3771 What Level 2 Charger did you buy/install? You're paying higher prices because you're an early adopter. The "chargers" are not chargers at all, they are essentially a high current rated relay/contactor with a basic communication card that drives it. We liked my SE Hybrid so much, we decided to get a Titanium Energi for my wife - I have long commute each day, but her daily distance is around town and 20-40 miles depending on how many times she goes across town etc, so we figured this was a good move. So gone is the V6 Ford Edge AWD with 16MPG (aka the 'Starbucks Assault Vehicle') and now I don't think I'll be needing to take her car to the gas station twice per week anymore! She says it's the perfect color blue that she's always wanted. Compare the plastic around the fog lights and around the lower grill - my SE Hybrid appears to have the El Cheapo compared to her Titanium Piano Black. 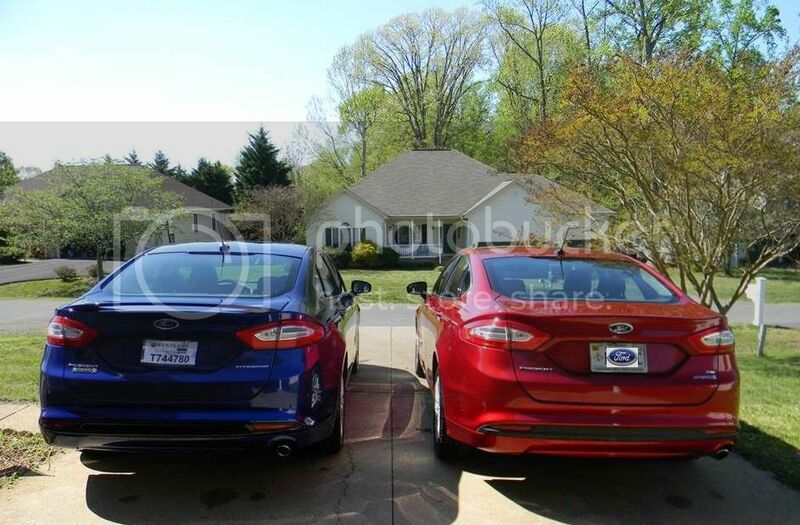 Titanium on left with spoiler on trunk, SE on right without. Special mention to my neighbor the Chevy guy, he has a really nice '67 Camaro there on the left. You seemed to know lots about Tesla so I wondered... Pics? The Fusion is a great looking car, but nothing compared to the looks of the Model S.
I've said before that the Energi with the Tesla battery would be my ideal car. 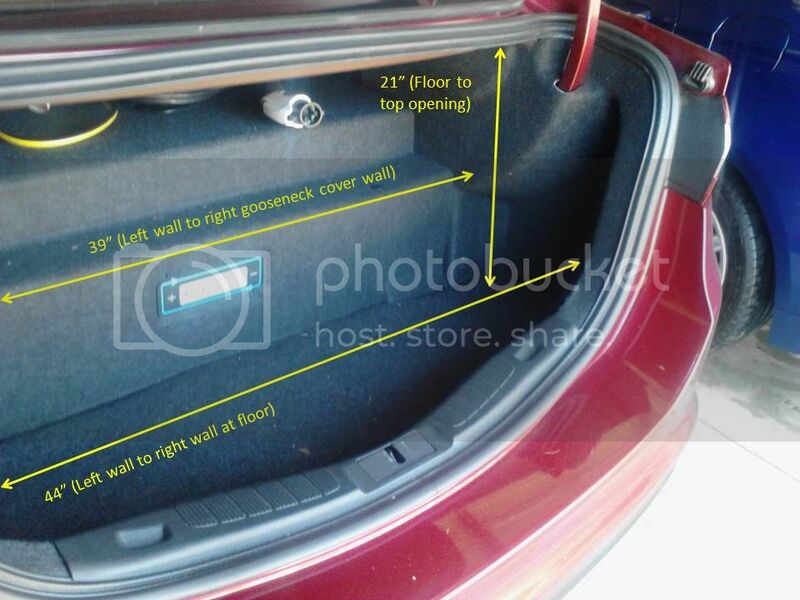 There are a lot of features in the Energi that are missing from the Tesla. Was not even shopping for an EV, and Ford had an $8,000 rebate, so I own a Titanium Energi, and I like it more than I ever imagined. So I'm glad to be here! OK... call me impatient. Got a call at work today that my dealer got a fully loaded Platinum White energi... there went my productivity at work... Decided it would be worth skipping the wait to spend the extra $720 on the active park assist and live with the spoiler... so I got 133.6 mpge on the way home! Did this on about 18 miles of mixed driving (what it told me it would go on battery) and had 3 miles left once parked in the garage. Turned the climate control off, but the lights and stereo were going. 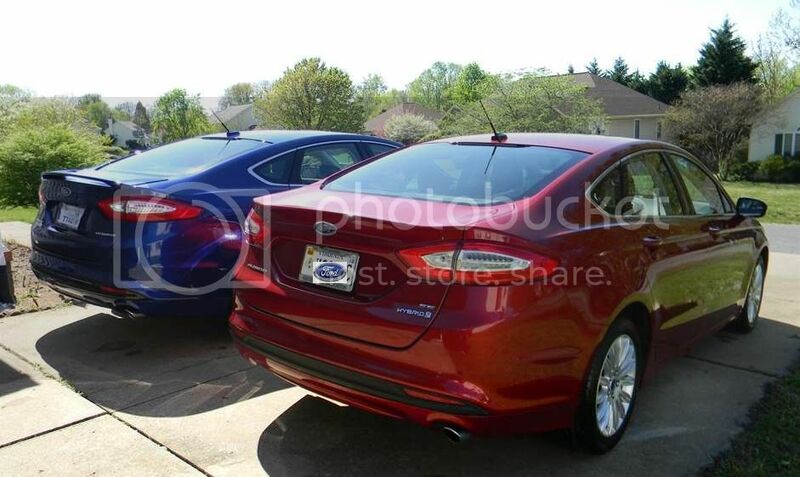 Finally after more than two months I have an ETA on delivery of 2014 Fusion Energi. Monday, 9/22 barring any transport delays. I officially bought the car on 9/2 and submitted a quote request for transport on 9/5. I went with the company recommended by the dealership in MD. By 9/8 they hadn't even acknowledged the quote request. I had to call them before they actually made it an order. I waited until 9/16 for them to get a carrier dispatched to pick it up. Fed up, I cancelled with them and went to another company that is used by a local Dallas luxury dealership that I have a friend at. They are about $400 more but after placing my order yesterday I already have a dispatched status today with a scheduled pickup of tomorrow. I can't wait to spend the weekend tracking the car via GPS on the shippers website! Greetings all! Long time lurker, infrequent poster here. My LED Charge ring had 2 segments out, which completely bothered my OCD. I looked on the web for how top replace it and didn't find anything, so I thought I'd share my experience. I bought one online for about $90 and had it shipped to me. I was unsure how difficult it would be to replace, but it took me less than 1/2 hour. I took off the front driver's side wheel and took off the fasteners that hold the wheel well housing on (I only took off the ones towards the rear of the well - that was enough). Pull it loose and you will have access to everything. I unplugged the light ring and discovered the ring assembly is held in with tabs. I pushed the tabs in at the bottom (I used a screwdriver with a fat blade) and then pressed in the ones at the side (doing this at the wheel well), I then opened the hood and you can see the top tab- i pushed that in with the screwdriver and was able to take the ring out. I then inserted a small screwdriver to remove the "old" door (a new door was not included with the new assembly). I cleaned the area under the old ring and waxed it. I then reversed the procedure (inserted the wire and snapped in the assembly) and then put the old door back on and checked it. Voila! All of the light rings were operational!!! It was pretty easy! Don't be afraid to try it! ​My light ring started not working s=right after the warranty. My dealer is pretty useless on repairs to my car. Your mileage may vary. The pics are (hopefully) below. Yes. The car does not control me. I control the car. I use it the way that I want to use it. It is not an investment. It is guaranteed to lose value. When I got rid of my 2002 Crown Victoria the most I could get for it was $600. I don't care what its capabilities will be when I get rid of it. I bought the car to use it, not to preserve it for the next owner. YMMV. #26581 Modem in Car 3G Upgrade? I just received a call from a representative from Ford in regards to the modem in my 2013 Fusion Energi. I have been having trouble with connection and even getting the second confirmation to appear. He told me that Ford will be sending a letter out in the next 1-2 months regarding a free modem replacement/upgrade. He said they are building up adequate stock at this time in order for them to make the update to the vehicles. This comes as welcome news to me as I have had very spotty/poor connection and data collection. I have to agree with a lot of posts here that I was very disappointed with the 2017 Fusion announcement, and all announcements Ford made for the 2017 model year. Now that my car is three years old, I'm thinking of whats next. I thought for sure they would be announcing some sort of Energi SUV (Escape or Edge) or at the very least increase the range and reposition the battery in the Fusion.. either would have enticed me enough to trade my car in, but now I have to look elsewhere. After having a plug-in, I won't ever go back to a ICE car again - which means my market of potential vehicles is pretty small. If Ford had read their customers better, they would have realized that many Plug-in owners are new to the Ford Brand, and loyal to plug-in cars, and create a market to keep them in the brand. But there is nothing new in their offerings for 2017. No. That number is an estimate based on your most recent trips. Because you've taken a road trip at higher rates of speed (highway travel), possibly with climate usage, your estimate has dropped as a result of it. This does not mean your battery is not fully charged. It has no idea if you make that trip over and over and doesn't omit exceptions in your daily routine. Once you return home, within maybe 5 days, your range estimate will return to what you're used to. Also bear in mind, it was much warmer last week than it is now (temps hovering around freezing). This will also impact your range prediction. This is why for the later 2015 through 2016 Energi's that they removed that range estimate. It is a constant source of questions. I agree with LarryH, that the small battery size leads to many deep discharges- and subsequent full recharges. That being said losing 15% to 25% of capacity in the first 30K miles is very concerning. Prior to purchasing my Energi I saw an article from someone in leadership for electrification from Ford who stated they were confident in their battery technology because they had seen very minimal degradation in testing. My thought at the time was they set the max SOC with enough buffer, and the max temp threshold for ICE turning on at set points that were very protective. My thought now is they did not set them protective enough. Frankly from day one I had concerns about draining the battery 2x's most days, with 2 full recharges most days. I was aware of the how functional SOC and Heat interact on battery health. From day one I had wished there was a mechanism to only charge to a specific % of full usable. 85% for the hottest summer months. Ford tried to hard to simplify things for the masses with their messaging of just plug it in whenever you can and treat it like a normal car. Plug it in whenever you can to get the best MPG, and drive it like a normal car. Your battery will last the life of your car, but you can further optimize battery health long term with these simple tips. Not charging to 100% full usable capacity all the time, but this is key- then offer a feature that allows owners to set an adjustable charge limit. Tell customers if their drive cycles permit to only charging to 85 to 90 percent further optimizes the capacity of battery long term. Explain, Batteries don't like extreme heat, and the more full a battery is, the more damaging heat can be. That being said, don't leave your car parked in high heat for days,or weeks at a full charge. I dare say, virtually all of us could have handled this, and still would have bought our cars. I would even speculate that people on the fence who didn't purchase may have ultimately purchased if they were empowered with this information and knew they could personally impact the health of the battery as opposed to a pure leap of faith. To prove my point this very message board is filled with this questions like "What can I do to help with the longevity my battery?" Ford's answer, just plug it in and enjoy the ride. The problem is we could have done something, but ford wouldn't help us with a feature to set a charge limit. Other manufacturers have this feature, explain it's utility in aiding battery longevity, and it hasn't hurt their sales relative to Fords strategy. Ford basically tied the hands of the very people who would have happily help them protect the batteries in their Energi cars, because Ford thought the general population would be overwhelmed with this info. The flaw in Fords thinking is it isn't the general population who bought Energi's the past 3 years. It is we the EV early adopter class mentioned above. Now they have created a situation where people will be complaining about batteries losing greater than 30% functional capacity at only 60 K miles. This will reflect poorly on ford technology because Chevy Volt with bigger battery, bigger buffer, and liquid cooled see virtually zero loss at 60 K . It isn't Ford technology that is the problem. Ford struck a balance between cost point and the robustness of thermal Management. With that balancing act it was even more important to engage it's early adopters with helping to optimize our own Battery health. Primarily via a mechanism to only charge to a specified charge limit. I don't think Ford did anything malicious. I just think they strategically miscalculated. The Energi Platform are great cars, but they certainly are not mass sellers. They could have sold the same exact amount, while putting out some techno info that would inform early adopter class, and put mechanisms to help consumers protect the battery. At this point this isn't opinion is is fact based on the # of Energi's sold. If this were available I suspect my batteries capacity would be much better despite all the full cycle recharges due to small battery size. That all being said, I am not totally soured by this. I hope Ford treats us early adopters who took the EV leap of faith risk with Ford fairly. A starting point would be having some clarity on what an acceptable degradation rate is. Everything I've read technically about batteries seems to be a min of 70% usable remaining very long term. Please Ford give us that much! Not quantifying it does not speak well to to the type of company you want to be. Working in Fords favor to facilitate doing the right thing. GM states they can now get batteries at $145 per Kw. That means a 10 KW battery would cost $1,450. GM also stated the Volt has 20% more kw per volume. This being said Ford should soon be able to offer at 10KW battery replacement the same exact size as the current Energi Battery. If Ford offered me a battery trade in / upgrade for $1500 that gave me a 10KW battery, maybe 7KW usable 28 mile range I would probably do it in a year or two if my current battery was down to below 4KW usable which it is currently trending towards. If this upgrade also had a software update that allowed me to set a max charge level I would definitely do the upgrade, and set it to 85% and feel real confident that the battery would last a long time. Under this same type program they could also offer the 7.6 KW battery in the same box, just missing few cells for very disgruntled owners with large capacity loss. They could sell these at a prorated discount based the degree of capacity loss. Essentially lots of suggestions / options for Ford to do the right thing. Costs are dynamically decreasing. My hope is Ford will soon at least signal their intention to offer some program like this in the future, even if there were not specifics right away,. I think this is a ticking time Bomb Ford could easily get in front of, and come out smelling like Roses. If they don't get in front of it, it could really backfire on them. I suspect future models will have bigger batteries, and liquid cooling eliminating this issue. This is likely a one time issue for them with a limited amount of Energi's. To the bean counters at Ford. Keep in mind we early adopters would likely be interested in such a plan. What makes us tick is different form the general public. Trust in a manufacturer is hard to quantify in beans counted. I will be an EV buyer for the rest of my life because I know batteries can last long term with correct engineering. Every Energi owner is predisposed to continuing to buy Ford Ev's if you let them. Treat us Early adapters who did a leap of Faith with Ford fairly. We are currently in it together, but we as consumers can switch teams. We are likely to stick with you moving forward if you invest in us, as we invested in you with our leap of faith. I suspect by 2020 Electrification will be much more main stream, Batteries more energy dense and 15 + KW capacities common. Every manufacturer will have better protected batteries. Don't risk your EV reputation by not standing behind your early adopters. I know Ford Reps monitor this site. Please email me, I am reasonable. Let's partner in the Ford EV revolution. I wish you had come here first. The car, even though it notifies you that charging is complete, it technically IS complete - for the HVB (high voltage battery). The reason the car remains in charge mode is that it is topping off your 12V battery and may still be running cooling fans for the HVB as well. What you are experiencing is normal operation. Disconnecting the car at any time is fine. Like your cell phone, you can plug it in or unplug it at your convenience.